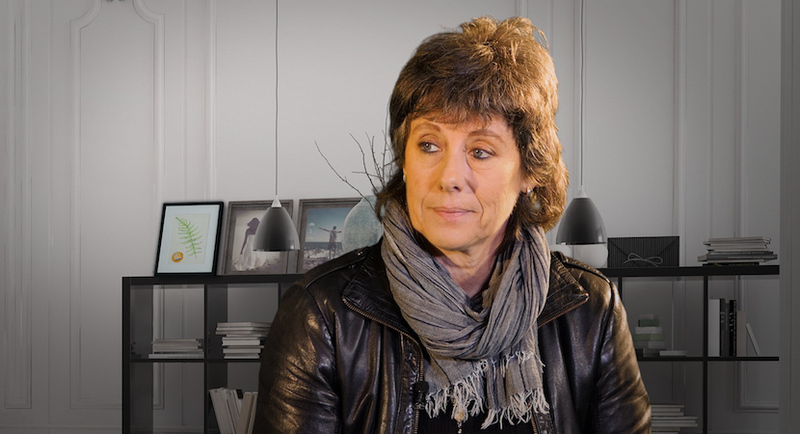 Marianne Thamm’s story is the story of one individual, and yet it is the story of millions. It is a story of faraway beginnings – she was born in England, to a Portuguese mother and a German father – and it is a story of settling in to an unsettled, unsettling land, a land that gets under your skin and never lets you forget the skin you’re in. As a journalist and author, now working for the online journal, the Daily Maverick, Marianne is a storyteller herself, bearing witness to pain and violence, as much as to hope, resilience, fortitude and determination, in a country shaped by constant change and the possibility of renewal. Marianne sat down with Ruda for a candid and illuminating chat about life on the frontline, touching as well on the joys and challenges of motherhood, her sideline career as a standup comedian, and the reasons why she always finds herself drawn back to South Africa, the land of infinite stories. Assistant editor at The Daily Maverick because The Daily Maverick is not a structured place and we will talk about that. She’s a journalist, has written several books about other people and lately what she calls a memoir of sorts, called … Which one’s first? Hitler, Verwoerd, Mandela and Me, which is a quite a provocative title. Thank you for joining us. The first big change in your life happened when you were two and you had obviously no choice in the matter when your parents brought you here from England and that has made all the difference. Well, I’m so grateful for it. I keep on thinking that they could have taken me to Australia, but you know, everything I am and everything I’ve become and everything I’ve learned has been at a cost to other South Africans, but my internal architecture is completely constructed here. I can’t … No other place in the world resonates with me so much as here, so I’m extremely grateful for it, although at times in the 1960s and 70s, I was quite angry about it and wanted to know why. Why do you come to a place where there’s such pain and where people are perpetuating something? Why did they make that choice, do you think? Well, I think my father, he blamed it on his asthma, which I think is, you know, ‘go to a hot climate’. Apparently, the doctors used to tell you back then, but I also think he got a job at Armscor, in Lyttleton in Pretoria. So, my father was a mechanical engineer and in the book of course I discovered during my sort of 50-year visits to my father and incredible political arguments, I realised why he came to South Africa. So, I’ve got really bad Karma on the German side. It’s so bad that there’s not even a point in doing any penitence. It’s really awful! But, so he came to South Africa to work for Armscor. And that’s how we got here. And my mother was a housewife. She was barely literate, semi-literate, she was a cleaner for English people in England. Of Portuguese extraction, of a small village, a mining village. So ja, economic migrant and a war criminal and out I popped in England and here we are. It’s a bit of a mixture to start with. And possibly the best preparation for journalism. So, you wanted to understand and communicate? And communicate and stop it! I wanted to stop in a way … It’s horrible to watch a human being chased away somewhere like a dog as a child. It’s diminishing. And you want to go and say to the person, I’m sorry. And did you see journalism as an instrument? This can make a difference? There is a man who sees what I’m seeing, a person, a character who gets it, who, I’m not alone in this. And it’s interesting that I was able to communicate with or somehow find attraction, a traction, with the philosophy or way of seeing that someone else did through a newspaper. And I thought, well this is the vehicle. This may be. But I didn’t. I didn’t think about it as a job, as a profession for a very long time. I mean it was, I wanted to be an ice cream seller. You’ve got the bicycle and then you just eat it all and try and sell it all. So those were my ambitions as a child. I don’t think my parents also, because they were not sort of wasp families who kind of have trust funds, we children go for education. I think they were just dealing with the moment so there was no discussion about what are you going to be. My father said, you know, a grave digger is a good job to have because people always need graves and you always start at the top as a grave digger, it’s a joke. He wanted me to be a hairdresser because people always need haircuts. He’s probably right. I would have made a good hairdresser. It would have paid better, probably. But then, when you started, it was the 80s? Very, very rough times. And you worked as a crime reporter in the beginning. How did that affect you? A young woman, Cape Town, crime beat? Seeing it and realising it. It’s horrible, but people need to be contained in a violent and awful situation. And that, as human beings. We are capable of horrendous violence towards each other, but at the same time, you’re capable of extraordinary kindness and magic. So, I had to survive by holding the two, in my mind that this is not all … Because as a crime reporter, and the cops see it too, you see people at their worst. Really at their worst. Somebody doesn’t just get stabbed once, you know, and you get to the crime scene in those days with the cops and so you often see the victim, or you see the children who have been killed in the bus accident, or you smell the flesh of the burning person in the car, which was one of my first stories. But you know, that’s life and we have to bear witness to it. So, for some reason I think maybe they are parts of my brain that are irreparably damaged through it, but it is a way of, I think locating yourself very much in the real world. You … I almost want to say you tried to get away. You experimented in 1988, you went away, went overseas. Where did you go? Well, I went to, I had a partner then who was Canadian and was living in South Africa at the time, a writer. And because we didn’t have rights as gay and lesbian people … And she was unable to remain here and needed to leave the country and I had never left, and never planned to leave, but it was also 1988. It was because it was the peak of the civil war in South Africa. There were two states of emergencies. One in 1985, Mandela, we had no idea, was going to be released in two years. It looked as if nothing was going to change. Ja, and you were so close to it. Very close. With no place to dump it except on the pages, but black South Africans had no place to dump it. They lived with it. But you got to England? So, I got to England and worked at The London Times. Just also once again, fluke and fraud because I’ve always managed to slip in somewhere, sommer. We had started working on the electronic Atec system in South Africa before the English did, because of their very strong unions. And the British newspapers at the time, whopping, didn’t really know, understand Atec and we’d been playing ping pong and tennis on the Atec system for many years. And so, I worked as a sub at The London Times, which was an extremely unpleasant experience apart from myself and an Australian, it was culturally a huge shock for me to be in England. I mean I did not understand the English, so we’d sit in this horseshoe, subbing, which is an awful job. I can’t … I’m not a good sub. And with all of these English people and someone would burst into tears and everyone would just ignore it. It will be like, oh my God, there’s a situation, someone’s crying, and then myself and the Australian would go, hey, are you okay? Would you, can I get you some tea? You know? The Australian would wear flip flops. And I would also. And so, we were the only two who were not dressed in, sort of those days, I think it was blue shirts with white collars. With water that everybody drank, with briefcases. We just like, yay! We’re here to sub. It was an eye opener for me to realise culturally that I don’t have an Anglo-Saxon orientation. So, you start defining yourself by seeing what you’re not. Yes. And realise, look, I mean it’s a complete accident, a fluke of geography, that I was born in England. It’s just, you know, I’m not English. So, what brought you back to South Africa? I went to Canada for a while as well and began to read books I couldn’t read in South Africa that had been banned in South Africa. So, I sat in the Vancouver Library and read Steve Biko and biographies of people who I wasn’t able to look at, you know, read about … Books on Athol Fugard and I thought, but this is my internal landscape, this is my home and I’m going home. I need to go home, I need to be there. I don’t know these people. I can’t write for the Canadians. Couldn’t. I don’t know what to say to the English. It’s basically … I felt lonely. I felt I needed to come home even though it was a horrible place and make a … There’s a lovely French saying that if the disgusted leave, only the disgusting remain. So, I still think about that a lot. And how did Daily Maverick happen? Well, do you know, Daily Maverick happens how Daily Maverick happens. I had decided in the early 1990s that I really am not constructed for corporate media. I can’t clock in with a security card every day … Put my bag through … It’s not how it works for me. And decided to try … I could see the Internet was arriving and I could almost try and see around the corner in terms of where they take us in the media, but not many of my colleagues that are my age were quite there yet. I think when you’re trapped inside the valley you can’t see the mountains. So I left. And it was partly because I had been able to just resign and go in 1988 and everybody say, have you got a job and how are you going to do it? And I was ridiculous. I was 33 when I left? I wasn’t young and I just thought, well, I’m going to do something. I’ll waitress, you know, that kind of attitude. And I had that again when I left because I just knew there’s no way I could stay in formal employment. My hours are different. I love what I do, I can’t do a 9 to 5. I can’t. So, I mean, you know, Daily Maverick only came into my life towards the end of the last five years. And I met Branko through … I was writing satirical pieces for ZANEWS, it was South Africa’s version of Spitting Image and that was an interesting thing to try and do and see. And so, I did scripts for these puppets, and met Branko, who’s my age and grew up in Yugoslavia. So, I have somebody who’s interesting in that the country he grew up in, doesn’t exist anymore, and he lived through war. The country I didn’t grew up in doesn’t exist anymore and I’m happy it doesn’t exist anymore. For him, not so much. So that was our connection. I think we’re both in our 50s and I think, Mavericks, in a way. So that’s how I ended up there. What can I say? You know, I had been out of that kind of mainstream journalism for a very long time. I didn’t go to Rhodes, I wasn’t connected to that Rhodes group of students who are the Anton Harbers and the Shaun Johnsons and the, you know, all of these fabulous people. You were a Maverick. Always. But you, you started writing books and longer pieces. And the first one I think was about Alison Botha. We did a Carte Blanche story on her, of course, which also, I mean, it will stay with me forever. How did you connect with her and how did the decision come about to write that? You know, Jane Raphaely was the editor, the editor of Associated Magazines and I found myself completely by accident there, because, I mean I don’t read women’s magazines. Never had. But Jane was really visionary at the time and realised in the 1990s that the country was, and she wanted to use her products to introduce readers to Baleka Mbete who had been in exile. So, she wanted it to be a sort of Vanity Fair cross women’s magazine and employed myself and Pippa Green, who were seasoned journalists who only wore one outfit and shoes, rolled our own tampons and cut our own hair. But through Jane, I sort of got to do this story because, Alison had survived the attack. Two dozen or more knife wounds in her tummy. She was raped, she was left for dead and she pulled herself, holding herself literally physically together and walked to the road and was saved by a number of people who interacted with her afterwards and lived to tell the tale. Amazing woman. So, I met with Alison and I thought what was interesting, partly from a writer’s perspective that I saw in front of me a story that had a good ending, already. And the challenge was, I’ve never done a marathon piece like that before. Today, everyone is writing and it’s fantastic and there’s so many young people who were able to do the marathon work of a book. And there wasn’t that much at that time. And I had left, and I think Penguin had approached and said, look, we want to do this book on Alison. And you’d done the story for Fair Lady. I was just going to ask, did it become financially viable? Could you keep yourself? And after that? When you did a number of others? I’m trying to remember now. I mean it’s kind of they are almost their own things once I’ve done them because it’s not really me in there, you know, it’s the job, it’s the thing I’ve been taught to do. So, it’s hard for me to hold onto them. But did you negotiate a better deal the next time around? No, I’m Portuguese. I’ll always sell it to you for less than you should be getting it for, you know. No, I’m joking. Yeah. But no, I’ve changed a lot. I’ve had to learn to change. I dislike money immensely. I find it a very irritating thing to deal with. But when you freelance, you have to respect yourself. And so, I know what I want to charge. You’ll continue to find a way. Even if I have to open shop and sell you one ply toilet paper, in a three-ply neighbourhood, I’m going to do it. You’ve also written for the stage and actually performed? I don’t know if I’ve written for the, I suppose you could say writing for the stage. I was very interested at one point, by the lack of female comedians in South Africa and this is 2010 and I met Anne Hirsch and Shimmy Isaacs and Anthea Thompson, who is a great character actress. And I was just, I was hankering for female energy on stage. Comedians. Now, there are wonderful comedians, but back then it was mostly men. So I went to go and write about the Cape Comedy Collective, which Mark Lottering started off, Riaad Moosa, Kagiso Lediga, Tracy Klass. I mean, it was just a little strange thing. We would perform on Sunday nights, get paid R100. And I mean, I thought nee, God, ek kan nie. No, this is worse than journalism. So I did it a bit because it’s been something I wanted to do. Because you need a basic structure and then you can play within that. Because of course, if you perform every single night, you just start forgetting like, what? Is this tonight, or last night? And did I say this already or didn’t I? You know, it is. I admire actors who can hold in mind entire character parts. So it started there. I still want to know what was it like? It was terrifying and exhilarating and it’s almost, you know, I think what’s interesting about it is it’s a very male medium because you need to have a strong ego onstage. You like and gutted fish when you’re there. You know? So, and also what’s interesting is as a woman when you arrive, you are viewed or were viewed differently. So that’s your advantage as a female comedian because everyone’s expecting one thing and then they use … I mean, if you see Ali Wong, I don’t know if you know Ali Wong. She’s pregnant onstage and speaks about unspeakable things on stage now, but so that was the advantage, but I missed how women view the world and I didn’t want to do comedy about men. I wanted to do comedy about spaceships and other things, you know, and very few women were doing that. They were always trying to do the sort of stand-up genre which is very specific that men were doing and I at the time believed it was French and Saunders and Ruby Wax and those kind of women. Even Whoopi Goldberg, you know, that women could bring something else to comedy and I was thirsty and, but I realised that you can’t get other people to do something. You’ve got to do it yourself, and then they come. So that was, there was a schlep of like and then inserting myself on the program. So, four of us decided in 2010 in the middle of the Rugby World Cup because we didn’t realise it was on, you know, there’s some people who we asked the Baxter if we could use their biggest venue and they said, ja, sure. Because they knew nobody would be around. So, it was the Flipside of the Baxter and was On Broadway on Long Street, but everyone who didn’t like football came. That was a nice thing and a lot of them were women. So, you’ve got four different frequencies of humour from me. I mean, you know, essentially my book and all my comedy that I do, I did do, I don’t call myself a stand-up comedian, everybody else does, but it is my revenge on the 20th century. It’s my revenge on the world. It’s like, come on guys, you know, so I’ll show people ads are found in Fair Lady when I was doing a collection of their work and ridiculous ads and young people. So, I took politics through space travel, through the Russians who went first through all these other things that matter. And I think one of the reviewers, which was so telling, wrote wow, none of these were a man bash, so I think but why would we make a comedy about men? I mean, how? Do you always want to be the main character. You realise that was the problem, is that it’s always for feminist comedians, they’re gonna … And it’s like no, we speak about unblocking a toilet. And then how did you did you stop? How did you book? It was terrifying. It was wonderful. We, you know, I’ve got this Portuguese calculator in my head and said to the foreman, jirre, we’re going to kill it, man we’re going to fill this theatre. All the comedians, if you speak to them, it’s years of work. It’s the same as journalism to establish yourself, you know, you’ve got costs to pay, banners to pay. I wanted everyone to be able to get some money out of the show. I didn’t have a producer so we all got whatever sponsors we did get in and paid everybody. And so at the end of was like, okay, well now there’s nothing for next month, you know, and, and I had to do journalism in between. But it was something I wanted to try to do and I love it. And I think that stand-up comedy is great, but it is to me I’m tired of the genre. It’s too predictable, you know? You really feel you’ve been there, done that? I suppose so. But it’s, you know, look, it’s one thing I could do if I, if I, if I, if I get fired from the Daily Maverick, I will do a show. But I have done, I’ve decided to do some stuff around my book because there are lots of stuff in the book that’s not about me, it’s about cigarette ads. And when I grew up, all the adults around me, I mean there was, there were doctors saying more doctors smoke Camel cigarettes than any other. So, my big question to myself is when did the world go from being so stupid? I mean, where parents would smoke in cars with windows rolled up, you know, no seatbelts. My next-door neighbour who was white, tanned with brake fluid, Bunny van Rooyen. Sy het so getan in brake fluid. Cancer? Never heard of it, you know, we ate MSG in all our food we drank those 1000 Island, you know, you remember it used to buy it in the shops and then we used to eat our fruit salads from tins and fight about the last pale cherry, you know? So that was the century I grew up in and I was the whole time going, but people, this is not … I’m sorry … Guys? You know, you’re oppressing women and black people and eating cherries out of tins and you’re smoking in the car? And it was like I was talking to aliens and then suddenly the 21st century happened and yay, I was right! So, so, so there’s a tremendous feeling of satisfaction and my chose question, how did we get there? How did it go from being so unconscious? And I do link it to space travel, because a month after I was born in April 1961, so I was born in March and April was the first trip into space by, by the Russians, nogal, Yuri Gagarin, who I think wore a beret and a little overall into space and had a pencil, while the Americans came out with their suits and they sent Yuri and who knows what on a motorbike into space. So those things intrigued me. What affects the world and being here on this little Southern tip of Africa. But then you’d always written about things outside of yourself. But now lately you’ve done this memoir. Who convinced you to do that? I don’t want to sound ungrateful, but I have this darling friend, you know, there’s some people in your life. I’ve got a strange construction of family because there were just four of us in South Africa. I didn’t know my family, I didn’t know my mother’s family. I only discovered my German family much later and they all thought we were living in a tent in the jungle fighting off lions. I actually do think I wrote to my cousin, once, lying saying there was an elephant outside or something. But Tom is a dear friend of mine in Europe. He is a very respected and well-known writer in Europe. I met him when he came to South Africa. He’s very funny as well. And everyone has a story. Everyone I sit and talk to, has an incredible story, but this one seems to be … Has many elements that if you were a director and I pitched it at you for a film, you’d say, no, this is too far-fetched. But anyway, Tom arrived, he took me to supper and said, I want to buy some of your time. I want you to write your book. But before Tom did that, something else happened, which was Murray La Vita had interviewed me for Die Burger, for a book by The Daily Maverick, not about me and him and I sat talking in The Gardens for ages. And I spoke to him about my father dying and what that process was like and what my relationship was like with my father as he died and my engagement with that. And he wrote about that instead of The Daily Maverick. So, I had this write-up and a publisher phoned, who said I want that book and then somebody came and said completely apart from that, here’s some money, write the book. And I thought nee, I know I’m an atheist and this is just in case, but the universe has put two things, it would be really silly not to do it and let’s just see what happens. Let’s see how it goes. And the privilege of having four months of stepping out of state capture, stepping out of what I know to be a news cycle, which I’m plugged into fully, 24/7, was incredible. And so even if nobody buys the book, apart from my children, nothing can replicate that experience. So, I went through their little things that they kept, their little papers, the, the things we keep. And when we die we wonder who will look at them. I find my father’s, you know, their papers. And I began to ask, well, who are they really? Because there’s a certain point you think, you know, your parents, we all do. We think you know your country, you think you know everything, so it was an opportunity to just … And I think everybody should do that once in a while. If you’ve still got a computer, laptop that you can fire up. Look at those old pictures you took. Read the old letters someone wrote. It’s about situating … You know, and I understand now, very much an African way of thinking around ancestral holding, you know, because it is about the past and it’s about the future and it’s about honouring where you come from. You can. And really to me, writing this book was slaughtering to my ancestors. Was saying, I see you. I see you. Thank you. And it was that process. Let’s talk about family. You had an absolutely fraught relationship with your dad all his life. Did that change when, when you adopted children, when you had children? What changed was … The relationship was combative because I love my father very much, but my father was a patriarch from a particular time. He was a good-looking man. He was a European man. He wasn’t a rude man. He didn’t drink. He wasn’t awful to anybody. He was this, this, this, this, quite contained, beautiful German presence, but undermining of women and undermining of me and not quite seeing me. And I know it wasn’t personal, because that’s how the world is. I mean, I’ve experienced this in the workplace. I’ve experienced it everywhere. It’s not personal, but it’s very hard as a woman at the time, not just get as personal. As a child. As Marianne. And politically we were on different planets and I also was ashamed of him being a German when I began to watch The World at War as a child on TV, and realised what the Germans had done. I thought, my God, I’ve got one of them in the house here, you know? And there’s a picture of him with this, you know, he was in the Luftwaffe. And I want to know why, who, what? When did you question? Why didn’t you question? What happened? So that was my relationship with my father. And it continued until he nearly died. Or he did die. He did die. And when I adopted my children, what was … My father was a man who lived his life. I wanted to know who he was without the ideology, without the language, without the war, without what life does to you. Who is Georg Thamm? Georg Thamm. Who is the little boy without everything everybody told you must be, and that was what I continue to try and do. You, you know and that makes you afraid of other people, and so in the process of that, I think I came closer to the, to the person by being quite confrontational about Nazi ideology, about the Holocaust, about othering black people, about othering, everything. So, when I adopted my children, I said, I’m not asking your permission. I’m telling you, and if I detect, if I pick up anything, you will not harm these children. This is not the burden to carry. My daughters, ja. But the interesting thing was, he fell in love with them. Because they just loved him and that was amazing to watch. My father was a man who waited for happiness. He thought happiness exists outside of you and that somebody gives it to you like a communion wafer that he kept waiting for. It just never happened. He lost his Heimat. They lost the war. They followed Hitler. You know, he came to South Africa, he lost his wife who had a stroke. My father was not a happy man and I connected with him a lot and understood and I read a wonderful play by Lorraine Hansberry, called A Raisin in the Sun. And in that play there’s a line that says if you cannot love somebody at their worst, then don’t bother to love them at all. We do need to love somebody when they’re at their worst. All of us can be at our worst. And so, I knew my father had no one else except me to be his worst in. But I knew there was a better self there, so it wasn’t easy. But I saw the better self emerge in kindness and in consideration. Tell me about how you experienced him with these two little babies. Well, the one was then about three when you got the second one, hey? Layla was two and Kenya was three months old when she arrived. Oh, all the time. In the first … When we first arrived with Layla in her little car seat, you know, this beautiful child in a car seat and I knocked on his door in Somerset West where I went to visit him, and he opened the door. And he went, ja, but it’s an infant! He said to me, and I said, well – she – she’s a baby. I didn’t know what he, you know, I think my father was very much like, people have an idea that somebody is going to be one way in their head. So, they’ll say, I mean, I’ll give you trite, banal example. Like, let’s go out for supper, let’s go there. And I said, do you really think you’re going to arrive at the restaurant and there’s not going to be a queue? That you can’t phone before? And so, people have an idea, oh, ek wil uitgaan, I’m going to do this. You can’t think … You know, you’ve got to engage with life. It’s not what you see in your head. It’s completely something else. And through that then, and then he said to me, but she’s so beautiful, who would give up this child, you know? So it just opened up something. Ja. He used to play, he used to sit with my youngest daughter on his knee and do a German song. I said, I hope that it’s not an old Nazi anthem that you are singing there. What is that song? What is that? Clear, clear everything beforehand. But he would then phone me and say, are you coming on the weekend? Until then, he’d never done that. I always went to visit. He knew I would come, I’d take him food. Christmas, I’d bring the Christmas tree, because you know, grumpy old unhappy … Watching TV. Well, Germany’s going to … And telling me about South Africa. And I say, where did you, where have you last been in the last two weeks? To the Spar up the road and back. And you are now a political expert, are you? So, we had those kind of conversations and he could take it, you know? He could handle it. And then the girls changed that. And how did they change you? How did the decision come about? Because it’s forever. You can’t put the baby in the cupboard. No. And you do things then for them and not for yourself and there’s something that if you resist that, you never learn what you need to learn. And, and somewhere inside ourselves as a species, regardless of what we think is that this is the flow of life, death and life, and you’re in the middle of it. I mean, you can have as much money as you like and be childless, which is also great. And be very happy and fulfilled. I really believe that is possible. It’s true. I don’t say everybody should have children, but for me, there was something elemental and understanding because as my father was dying and retreating, I had these two young … This force of life coming at me and I was in the middle of it. So, I’d go and visit him as he was sick and dying and come home and I’d cry in the car because that’s the only place you could cry, because at home they get upset if they see you’re crying and they were little. Because Mommy’s out of control, you know? And then they’d come up and say to me, I want a peanut butter sandwich and you’d go, I’ve just come from oupa. Is he sick? Yes. When will he die? So, they brought that beautiful lightness that young people have about death. They don’t fear it. It’s doesn’t mean anything to them, you know. And I must care for them, not for him now, you know? So, I learned all of those things through them. How did it change your relationship with your partner? Well it got, you know, it was interesting to watch her become a mother and me become a mother, so we’ve got different ways of doing things. She’s, you know, she’s … I’m emotionally quite backward, I think. I’m not, I don’t necessarily want to engage emotionally with people stuff. I think emotions are something, you keep that and deal with it. And then, don’t let it spill over all over the place first, but with children you have to, you know, so, I think we are complimentary. Our investment was we wanted these children, and they’ve come to us and they are with us and we owe it to them to be good mothers and have … And so we worked for the family together. We worked for them. We work for each other. I trust my partner immensely. She trusts me, although I’m not to be trusted at times. I mean I would do things like she’d work at the back and I’d say to the kids – they’ve grown out of it now – come, let’s put moustaches on everything. So, we would draw moustaches on ourselves and on the dogs and on every portrait in the house and wait for her to come back in from work. If I say that now they like, aaargh, you know. So, they allowed me to play again because I really do enjoy playing and dancing. And I’ve realised how that that comes from the Portuguese side of me. I didn’t know that then, but I’ve always worried about what is this really, you know, I feel like there’s two 25-year-olds in me, you know? I did when I turned 50 because I constantly had the need to play. Or to laugh. And how … South Africa is a difficult place to be in. And to be in a mixed-race family … What do you want? What do you dream for your daughters? More so than in other countries? Ja, in other countries, adoption by gay couples is not legal. So legal. Marriage is not legal. So I’m, I’m very aware of the weight of the Constitution behind me. People might not like me, they might not like what I’m about to what my children are about, but they have no right to do anything to me and I just really feel the weight of that and it’s an extraordinarily liberating feeling. We had a Zimbabwean woman who interviewed to be a day mom and when she discovered we were two gay women with two children, she said you are an abomination and I would never work for you if you were the last people alive on earth. And I sat opposite and I said thank you for sharing that with us. Please do. You were able to say so. Thank you very much. But I could only say that to her because I knew that – and every South African we interviewed said, yeah, well of course we get what you are, we know what you are, you know? It’s cool. It’s no problem. So that was so enlightening to me. And, and you know, Europe doesn’t get this either, so if we travel with our children, they’re probably going to arrest us and put us and question us and ask us where are they from. Are we trafficking? So, you’ve got to deal with a whole lot of the … Initially the Home Affairs people didn’t understand that you could put mother, mother. So, on the one child I’m their father and then I’m their mother on the other certificate. Arguing with bureaucracy about … Sweeties? Come now. 21st century. They’ve got two moms and then the people say ja, where’s their parents? And you’d go, well they’re adopted. Ja, but where’s their biological parents? And I was saying that’s not relevant to you. The day … They have their own stories. Here’s their mom. So you know, what I would wish for my daughters really is something I just saw. I went to Europe for my book launch and loved it very much. It was lovely. Problematic on some levels. But I watched young girls cycle at dusk through a city on their bicycles with the phones and without a care in the world. And I would love my daughters to know what that feels like. To know, because you know I’m quite a … I’m not hyper vigilant, I don’t want to transfer my hyper vigilance on to them. I’ve been doing some stories that have been potentially, you know, although I’m not the target, but you have got to be careful. So I, I, when I come home with the car and I say to them, if I say to you in a particular voice, get out the car, do not fight with me. Do not ask for me that you must take your cellphone charger or your pudding that you left there. Just get out the car and go inside. So I, I need them to become aware of where threats exist, or where they don’t exist in South Africa. I’m sad of that. And that surrounding them every day, I, you know, are little girls and little boys who are being terribly, terribly hurt and murdered and killed and they know it. They can hear it on the news. They know. And that’s where we live. So, my dream is to stay here. I have to stay here, I have to try and fix it. And I work with not only The Daily Maverick, but the people who have leaked information to the media, not just me. Those are the people I believe in and who I’ve seen the integrity and I’ve seen the willingness … This country could be great if we weren’t so bogged down in corruption and people trying to steal … We deserve better. We’ve been hurt for 300 years. No, stop it. Stop it. So, I would love to be able to try and make some little difference so that they can, can live here without that terrible fear that we all have. And you want to be here to make that happen. Absolutely. I don’t want to be anywhere else. I can’t be anywhere else. You know, I’ll take it as it comes. Marianne, thank you so much. Thank you, Ruda. Thank you. I’d like that note to end on that. You know, Anton Rupert said, when someone asked him, you’re a billionaire in every currency in the world, your empire centred on Europe. Why do you live in South Africa? He said here my life makes a difference. You mentioned the Ruperts, I can’t believe it! White monopoly capital, but he’s right. But he’s right. He’s absolutely right. But I think if you’re going to be here and you’ve benefited from being here and you can’t, there’s nothing you can do about that, you are white. Be aware of that, and all black South Africans ask you is understand. Understand. And contribute, stay and make a difference. But don’t be patronising. Don’t you know, I, this country to me has the most interesting young intellectuals, lawyers, constitutional experts, artists, writers, and they’re all black. Most of them at the moment, shaping a new hegemony. Our politicians are young, you know, whatever you think. We’ve got Mkhuleko Hlengwa in parliament and Julius Malema, and Mbuyiseni Ndlozi and various others. What’s not to be excited about? Thank you. All of the very best. And may your daughters grow up to be wonderful women. And that’ll be okay too. Thank you for spending time with us. Until next time, goodbye. This interview first appeared on the Change Exchange, an online platform by BrightRock, provider of the first-ever life insurance that changes as your life changes. The opinions expressed in the interview don’t necessarily reflect the views of BrightRock.